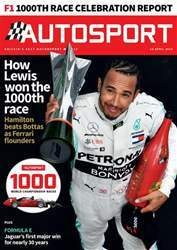 (0 Customer Reviews) | Write Review 52 issues per year The UK’s must-read motorsport magazine, Autosport is revered by fans and industry personnel alike as the ultimate source of motorsport news and analysis. The magazine’s expert editorial covers all aspects of the sport, from major international series such as Formula 1, Sports Car racing and the World Rally Championship, to the less glamorous but hugely important grassroots events in UK club motorsport. 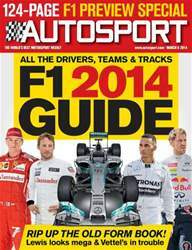 Looking for Autosport in print? Unfortunately pocketmags.com does not sell print copies of Autosport, but all is not lost. Our partner at magazine.co.uk sells print subscriptions at the best prices online. 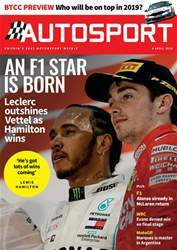 The UK’s must-read motorsport magazine, Autosport is revered by fans and industry personnel alike as the ultimate source of motorsport news and analysis. 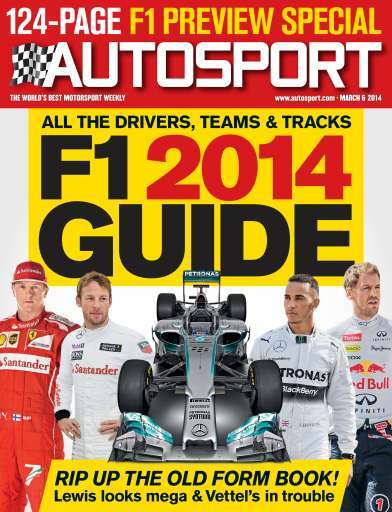 You'll receive 52 issues during a 1 year Autosport magazine subscription. 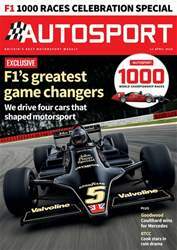 You'll receive 52 issues during a 1 year Autosport magazine print subscription.